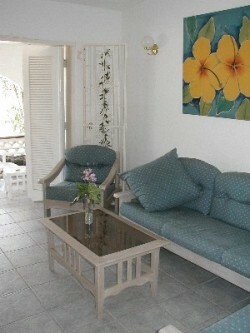 Can you imagine yourself relaxing in this modern updated tastefully furnished family owned Barbados beach apartment condo at an affordable "budget rate"? 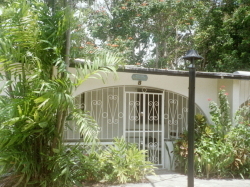 Located less than a 1 minute walk to the Caribbean Sea, it is convenient to miles of sandy beaches. Only seconds across the street from its backyard greenbelt is the gorgeous exclusive west coastline for swimming, watersports, turtle watching and sunbathing at your leisure. Enjoy your morning coffee and afternoon tea while sitting the secured private patio overlooking palm fringed gardens of hibiscus and ginger lily flora under gigantic tall flamboyant flowered trees. Enjoy your afternoon siesta under the natural tree canopy in front of our apartment. Watch the hummingbirds, listen to the surf, and smell the fresh ocean breezes off the beautiful Caribbean Sea located only a few seconds walk away...an unforgettable stay....at an unbelievable low price. Less than a 2 minute walk away is the Sunset Crest Resort OCEANFRONT swimming pool for your freshwater leisure. 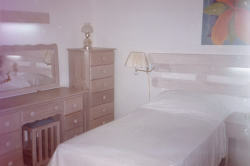 This apartment is safely located on the ground floor with parking in a private driveway only steps away. There are 2 public bus stops nearby. This unit is privately owned by our family.